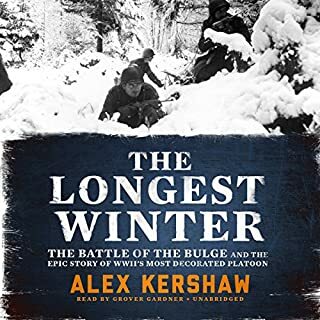 From the acclaimed author of The Dead and Those About to Die comes a sweeping narrative of six decades of combat, and an eye-opening account of the evolution of the American infantry. From the beaches of Normandy and the South Pacific Islands to the deserts of the Middle East, the American soldier has been the most indispensable - and most overlooked - factor in wartime victory. 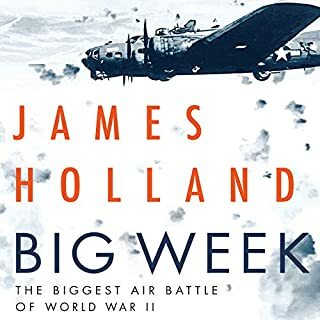 A white-knuckle account of the First Infantry Division’s harrowing D-Day assault on the eastern sector of Omaha Beach - acclaimed historian John C. McManus has written a gripping history that will stand as the last word on this titanic battle. Nicknamed the Big Red One, First Division had fought from North Africa to Sicily, earning a reputation as stalwart warriors on the front lines and rabble-rousers in the rear. Yet on D-Day, these jaded combat veterans melded with fresh-faced replacements to accomplish one of the most challenging and deadly missions ever. As the men hit the beach, their equipment destroyed or washed away, soldiers cut down by the dozens, courageous heroes emerged: men such as Sergeant Raymond Strojny, who grabbed a bazooka and engaged in a death duel with a fortified German antitank gun; T/5 Joe Pinder, a former minor-league pitcher who braved enemy fire to save a vital radio; Lieutenant John Spalding, a former sportswriter, and Sergeant Phil Streczyk, a truck driver, who together demolished a German strong point overlooking Easy Red, where hundreds of Americans had landed. Along the way, McManus explores the Gap Assault Team engineers who dealt with the extensive mines and obstacles, suffering nearly a 50 percent casualty rate; highlights officers such as Brigadier General Willard Wyman and Colonel George Taylor, who led the way to victory; and punctures scores of myths surrounding this long-misunderstood battle. The Dead and Those about to Die draws on a rich array of new or recently unearthed sources, including interviews with veterans. 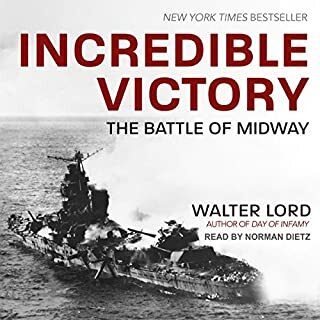 The result is history at its finest, the unforgettable story of the Big Red One’s 19 hours of hell - and their ultimate triumph - on June 6, 1944. 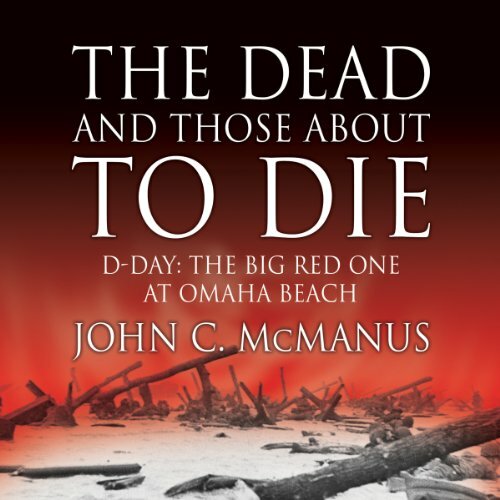 John C. McManus gives the reader an in depth account of what occurred on D-Day on the eastern sector of Omaha Beach. This was where the First Infantry Division had been commanded to attack. The men who had engaged in many battles for the past year felt that they should have been allowed to go home. However, the brass had a different idea. Their division was known to get the job done, Therefore, they sent the First. The invasion was harrowing, to say the very least. Men were shot dead in the water, which continued to get deeper. The packs the men carried made it almost impossible to tread through the deep water, let alone trudge up the sandy beach. The beach was inundated with bombs that continued to explode, taking the soldiers with them. Those that made it to the beach had to find cover so as not to be killed or wounded. However, there was hardly any cover to be found. Trenches were dug, cliffs were found but nothing would keep the German's from firing. The First Infantry Division were not cowards and the medals that some won and the death of too many proved that this was so. The book was researched in depth. The author used names of the men that were too many to remember. He bared wide open the description of how the men struggled. What happened to the men when the bombs exploded beneath them. All of the gory details were in the words spoken by the narrator, Dan Hagen. He did a very good job. The character's that spoke left no idea of who it was because their sentences were short but their fighting was not. 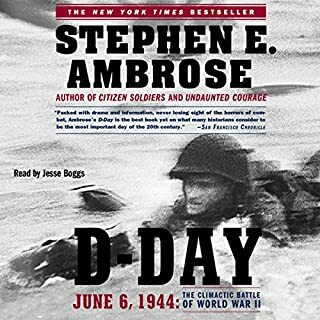 I found this book provided me with the best description of what occurred on Omaha Beach on D-Day. The men faded into the darkness, both American and German. Tomorrow would come with the sun. Some men slept, yet other's laid awake. Both sides patrolled throughout the night. The words, Post Traumatic Stress Disorder, were not used, instead the words, Battle Fatigue. The words were and are one and the same. Purchase, The Dead and Those About to Die, and you will be sure to listen and know just what Omaha Beach was then and remembered now and forever. The hallowed ground where American's fought and died to preserve world peace will maintain its memories forever, never to be forgotten. Very good account of the Big Red One! This is the most gut wrenching account of war I've read/listened to . . . and I don't think I'll ever be the same . . . the accounts of the survivors who came back from Omaha Beach, their families and the nightmarish lives they lived are etched on my mind . . . I needed to hear it . . . as much as it sickened me . . . this horrific account of what naive young men, still teenagers saw, did and gave while trying to save their fellow soldiers . . . because for the last ten years our family has watched our two sons, after coming back from combat in Iraq, and tried so hard to find the boys that they were before they left . . . but those two "boys" are gone . . . battles with alcohol . . . broken marriages . . . anger issues . . . and a lot of tears for all of us . . . without faith in God, I do not know how families survive . . . the book was an eye-opener . . .
With The Dead and Those About to Die historian John C McManus writes about the famed First Division's assault on a section Omaha Beach. 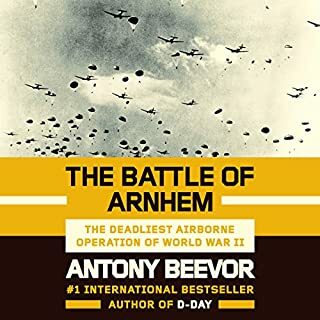 This is not a comprehensive history of the WWII D-day invasion; it is a history of what happened that day on a section of Omaha Beach from the perspective of individuals. There is much horrible death and uncommon feats of valor. Book is packed with incredible, brutal and heroic accounts of soldiers taking part in the D-Day invasion. Unfortunately there are just too many incredible accounts, and it begins to sag under its own weight. Maybe this won't bother others, but I found the pacing combined with the exacting detail regarding numbered combat zones and weaponry grating after about the halfway point. Narrator's drone doesn't help, though I'm not sure how much he can be blamed. Overall it's a worthy read for the scenes within, I just think it could be more cohesive as a work. 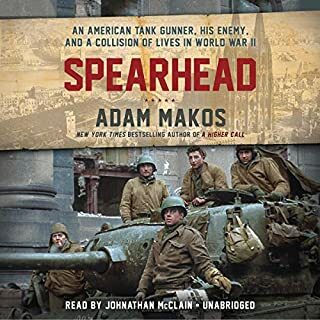 This is the first book (in all my years of listening to Audible), that I disliked the announcer so much that I stopped listening in 10 minutes. I then downloaded the print version to finish. I thought his read was bland and uninspired. This heroic story deserved a voice that was into the subject and not just a page reader. Also the tone of his voice sounded to me condescending and arrogant. If this was a college class I would have dropped it. it was as if I was right their on the beech with them, so realistic. Extreme attention to thought full detail. If possible to much. Many of the chapters in stories almost seem to be repeating themselves over and over. Many times I had to re-check to make sure my device hadn’t gone back and started over. Good book for an already historian of this event who wants some of the extra detail. Not good for someone that does not have previous knowledge of this battle. well done. military Buffs will enjoy this deep dive. individual stories of soldiers and their leaders.